Mar. 20, 2015, 11:06 a.m.
Germantown native Louisa May Alcott authored books under several names, including Flora Fairfield and A.M. Barnard, in the early days of her career. She didn’t take her real name as a writer until she knew that she was serious about her work. Her best known novel, Little Women, pushed her into the limelight of literary stardom and got her on her feet, financially speaking. She also published several other novels, wrote for the Atlantic Monthly and was editor of a girls’ magazine called Merry Museum. Gloria Casarez was the city’s first LGBT liaison appointed by Mayor Michael Nutter in 2008. In October 2014, she died from breast cancer at 42. Throughout her life, she was a constant advocate for justice and equality for the LGBT community — including efforts to fight housing discrimination — as well as fighting for AIDS awareness. From what her colleagues and friends and family say, she was a force to be reckoned with. If the fact that Katharine Drexel — yes, the niece of Drexel University founder Anthony Drexel – was born into wealth and decided to give it all up to become a nun doesn’t scream awesome, than we don’t know what does. She was born in Philly in 1858 and entered into the church at age 31 where she donated millions to missions and churches for African-Americans and Native Americans. Drexel became a saint in 2000 after the church recognized a miracle she performed — healing the nerve deafness of a toddler. Born and raised in Philadelphia, hip-hop artist, Eve (born Eve Jihan Jeffers-Cooper) attended Martin Luther King High School in Germantown where she got her start in rap. With four multi-million selling albums under her belt, Eve has gone platinum with hits like “Let Me Blow Ya Mind” and “Who’s That Girl?” She now splits her time among London, New York and Los Angeles. Don’t be a stranger, Eve. Tina Fey basically put then-veep candidate Sarah Palin on the map with her “I can see Russia from my house” impression and made her NBC show, 30 Rock a network success all by being the funniest person in the room. And let’s not forget her Philly-set film Baby Mama and the creation of the WeBeSoCa neighborhood (Webster South of Catherine). Her work has earned a combined 36 Emmys, Golden Globes, SAG, Writer’s Guilds (and many more) awards, but we might love her most for giving us Kabletown. The WHYY-FM radio show host is a breath of Fresh Air to the city. Oh, the puns. Her nationally syndicated interview program has landed Gross in the hot seat at least a handful of times with guests like Hillary Clinton and KISS bassist Gene Simmons. She remains a household name to her dedicated followers who love her chill, yet forward manner of her interviewing tactics. Let’s not forget, she also voiced herself on an episode of “The Simpsons.” Ya, we’re impressed. Known to be a pioneer in the broadcast world, Trudy Haynes became the first African-American television reporter for KYW-TV Channel 3 in August 1965. Before taking on Philly, Haynes’ hosted a women’s program for WCHB in Michigan in 1956 and even landed her own show. She was inducted into the Broadcast Pioneers of Philadelphia in 1999. 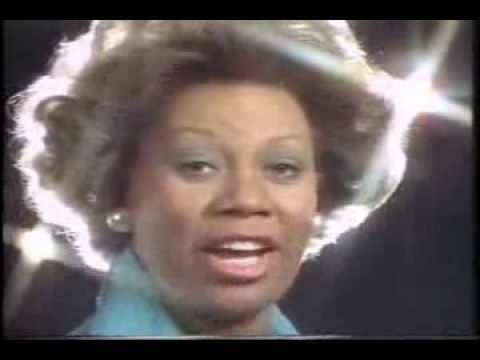 The video above shows her promo for Channel 3 in 1979; hello laser lights and synthesizers! We could never forget Philly-born actress-turned-princess Grace Kelly. The daughter of Olympic rower Jack Kelly married Prince Rainier of Monaco in 1956, but she starred in 11 films before that and was one the highest-paid actresses in the world. Kelly was well known for her acting as well as having one hell of a wardrobe- she was inaugurated into the International Best Dressed List Hall of Fame in 1960 and also gave a new name to the standard satchel purse: the Kelly bag. First of all, kudos to Dolley Madison for surviving the Yellow Fever epidemic. The disease killed her first husband, and she went on to marry would-be President James Madison a few years later. Madison defied 18th century standards when she took over her father’s and first husband’s estates, and earned herself an honorary seat on Congress. Her Philly home at Fourth and Walnut streets is still decorated with the furniture that symbolized her and her first husband’s rising social status. Doylestown-bred Alecia Beth Moore chose the stage name P!nk for the Mr. Pink character from Reservoir Dogs, which is pretty much par for the course when you start performing as an angsty teen. Known for her raspy voice and no-BS lyrics, P!nk has released six solo albums since her mainstream debut in 2000. And those lyrics aren’t a front. She took charge in 2006 when she proposed to motorcross racer by holding up a “Will U marry me?” sign for him at one of his races. Having won 11 total Grand Slam titles for women’s doubles and mixed doubles in American tennis, Lisa Raymond from Norristown would probably be first on our list cool Philly-area people to take to dinner. At 41 years old, Raymond second-oldest active player in the WTA Tour is only five foot five and has a doubles partner that is half her age. Above, watch the hard-hitter and her doubles partner, Sam Stosur, taking on Zheng Jie and Yan Zi in the finals for women’s doubles at the 2006 Australia Open. 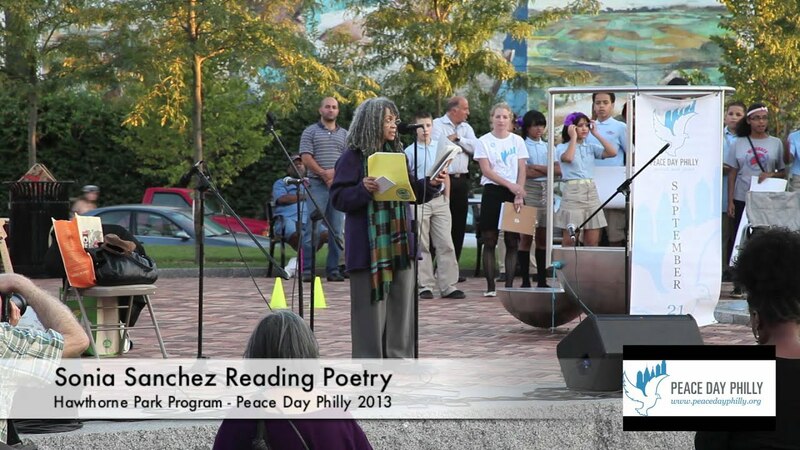 Mayor Michael Nutter selected Sonia Sanchez as the city’s first poet laureate in 2011. Just an FYI, a laureate poet is someone who is chosen by the government to write on events and issues — of which Philly has plenty. Sanchez — also a teacher, activist and reverend — has made tremendous strides in Philadelphia’s artistic community since moving here in 1976. Sanchez told the Inquirer in 2011 that, “Philadelphia doesn’t realize how wonderful it is.” Well shucks, we think you’re pretty wonderful too, Sonia. This Philly gal is pretty much a triple threat: singer, model and actress. Scott grew up in North Philly, attended Girls High at Broad and Olney and went on to Temple University to pursue a career in teaching. Scott can also check charity work off her never-ending list of personal pursuits. She established the Blues Babe Foundation that helps young minorities pay for college. This list wouldn’t be complete with Philly born and raised American basketball hall of famer Dawn Staley. She made a name for herself playing basketball for Dobbins Tech at 21st and Lehigh, but the three-time Olympian and WNBA champ might be best known locally for the six years she spent at coach of Temple’s women’s basketball team. The Dawn Staley Foundation still gives back to Philly through after school programs at the Hank Gathers Rec Center at 25th and Diamond.